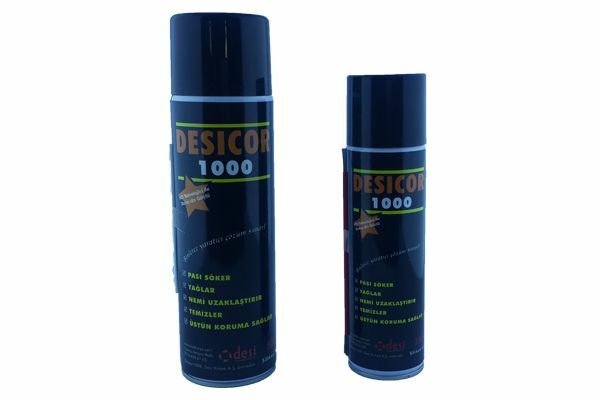 Desicor 1000 is an effective rust remover, jammed nut and bolt loosener, and surface cleaner product with its specially designed formulation for industrial and practical use. With high concentrated MoS2 and high penetrating oil in its content, it acts as an active lubricant in the deepest spots. Especially removes the rust from screw heads, nuts and bolts, penetrates into the deepest spots and will provide you with the ability to open jammed parts. It protects the metal effectively against any kind of corrosion with the thin protective layer formed on the surface after the process. By virtue of its special inhibitors, it is very useful even in aggressive corrosive environments .